The most perfect example He gave of His own heroism was, in my view, the Agony in the Garden, which Nietzsche despised. Nietzsche said that Our Lord Jesus Christ had not shown himself to be a real man in this instance. Further, with His doctrine of forgiveness and His goodness, He showed He was just a soft sweet being. This statement is blasphemous, and had Nietzsche been ordered to carry the Cross, he would have handed it over 200 times. He would have abandoned that Cross, apostatized, done a hundred other things, but he would not have had the courage to carry the Cross. The Garden of Olives is the heroic episode par excellence, not only because it involves Our Lord Jesus Christ, but because of the very essence of that episode. In fact, He was the God-Man. Considered in His humanity, He was absolutely perfect, conceived without original sin and, as man, the most perfect being that God created, possessing in the highest degree all the qualities of a human creature. For this reason, He had an extremely keen and harmoniously developed instinct for preservation, a consequence of His perfection. He also had a perfect understanding of affection, fidelity and, the solidarity of friendship; therefore, He possessed a far more perfect comprehension than any of us of all the moral torments that awaited Him. This perfect instinct of preservation would cause Him to have a natural fear of the enormous physical tortures He was going to suffer. 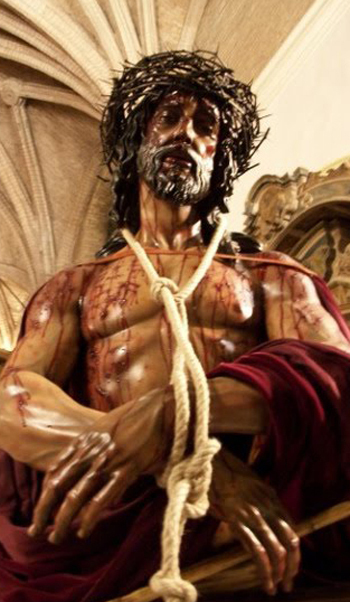 There has never been and never will be a man who can suffer the physical torments that Our Lord Jesus Christ suffered. 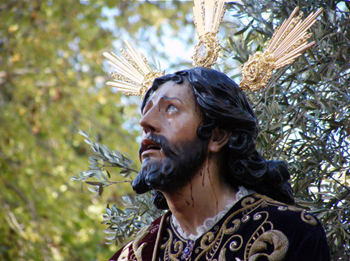 On the other hand, there has never been and never will be a man who can suffer the moral torments that Our Lord Jesus Christ suffered during the Passion, not only from seeing the Apostles abandoning Him, but also for all the injuries He suffered from each one of those souls He wanted to save. It is unfathomable what He suffered on that occasion. When the hour arrived for His Agony - for His prayer in the Garden of Olives. He placed – so to speak – the final period to His earthly existence. Everything behind Him – all His work – was finished and ready. That night He had something else to do: to prepare for His martyrdom. To prepare His physical and spiritual sensibilities, to prepare His Person to carry His Cross, to suffer all that He would have to foresee, to measure everything, adjust Himself and resolve to do all He had to do. This was the Agony of Our Lord Jesus Christ. You know that "agony" in Greek means struggle. 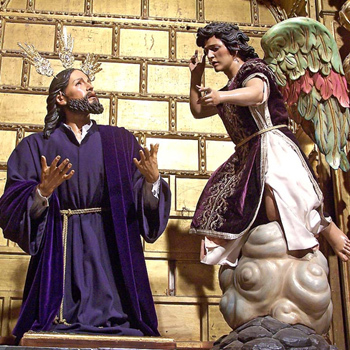 It was the struggle that Our Lord Jesus Christ waged, the fight against that which was most holy inside himself requesting that He not take upon himself so much pain. And that is exactly the poignant and touching prayer that He made. He began to have "weariness and fear," says the Gospel. And, from fear of what He was going to endure, He began to sweat and ended by sweating blood. There can be no greater expression of fear. But in this fear, there can be no resolution greater than His at the height of His moral suffering before the Eternal Father: "My Father, if it be possible, remove this cup from Me, but Thy will be done, not Mine." This is equivalent to saying: "If it be possible, I would rather not suffer. But if, according to Thy superior designs, I must suffer, then, I do not insist in My prayer; I accept the suffering that comes upon Me and I will face it. I will endure it, I will suffer to the last groan, to the last drop of blood, to the last tear. I will not turn back." Then, an Angel came and gave him strength and we see that extraordinary fact of His Passion: Our Lord never retreated, not for a single moment. Not even when the executioners came to arrest Him and asked Him, "Are Thou Jesus of Nazareth?" and He answered, "I am He." But He said it in a way so terrible that they all fell to the ground. With this, He showed that, had He so desired, He would not have had to suffer those torments because He could have sent those men away. He would suffer because He wanted to, despite everything of His that cried out against in the suffering He foresaw. He accepted that burden and desired to bear it to the end. In this model of heroism, we find at heart a conviction. Here I am speaking in human terms ... To adequately address Our Lord Jesus Christ I should speak of His hypostatic union and the communication of His humanity with His divinity during this time. But, to simplify this exposition I am speaking in human terms. In His humanity Our Lord had a profound conviction of all that His divinity knew: that He had to do the will of the Eternal Father and He wanted to do it. The consequence of this unshakable conviction was an unwavering will. This resulted in an invincible dominion over the passions and, as a consequence of this dominion, came the martyrdom that reached the very end. Here you have the explanation of what is innermost in the heroism of Our Lord Jesus. You see this process repeated throughout the History of the Church. There are moments when the breath of the Holy Spirit runs through the Church and legions of heroes rise. 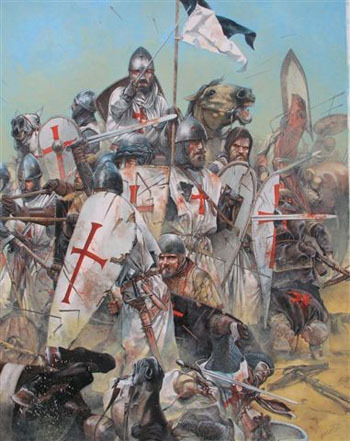 For example, on the occasion of the Crusades or the Spanish Reconquista, there were heroes who left in joy to fight for the liberation of the Holy Sepulcher or to cleanse the Iberian Peninsula of the enemies of Christian Civilization, who had invaded it. This, however, is the hour when grace communicates to men a sensible joy that makes virtue and heroism easy. This is not the best of Crusader heroism. Its best is when you open the books of the Crusades and read about the sufferings they passed through, the risks they ran in those moments when they no longer felt the breath of the Holy Spirit when they were facing the heat of those horrific marches through the desert, the deaths by pestilence and hunger, the attacks against enemies far superior in number, the many deaths in atrocious conditions. Facing all this, they persevered in their deliberation to die for Our Lord, persevering to the very end. 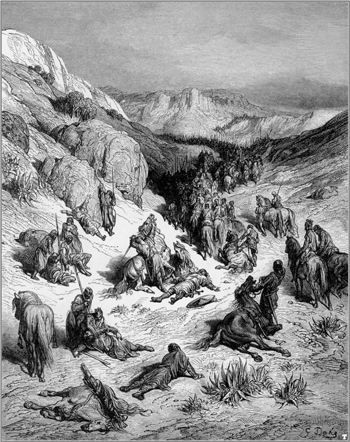 The Crusades and the Reconquista should not be seen as cheerful strolls of men who were continuously enthused, continuously enchanted by the action they undertook, dying with visions and joyfully entering Heaven, borne aloft by the Angels. There were Crusaders who died like this, there were also martyrs who died in the Coliseum and the Circus Maximus in the full joy of giving up their lives, but they are the exceptional deaths. The common death of the Catholic hero is to die in fear, in weariness, in horror, but maintaining that heroism by his profound conviction. In this you have the contrast between the heroism of various types of neo-pagan schools and Catholic heroism. In those schools, fear is considered to be shameful. Their action is based on a secondary thing: impetus. They consider that the true hero is someone who is prepared by a heated propaganda to do whatever his Party or nation asks of him. Then, either moved by La Marseillaise (national anthem of the French Revolution) or inebriated by the Nazi phalanxes that move forward at the goose steps pace, or driven by the sinister hypnosis of Communism, he blindly throws himself into the danger, impassioned by propaganda without taking into account his instinct of preservation. The result is that, after the moment of heroism, the system collapses. Such a campaign is made for a few brilliant wins and victories; if the attack fails and it is necessary to start to begin a long resistance, the system crashes, it cannot endure. Why? Because it was created based on that impetus. It is a system generated by impulses. Nothing based on impulse alone, created by mere stimulations, can endure. Catholic heroism – for which we must prepare ourselves – embraces every type of action permitted by the law of God and men, but its base is Faith. The base of this heroism is, therefore, the convictions and certainties of Faith that a person acquires by study, prayer and meditation; that he acquires in the inner victory against himself and his disorderly passions. This he acquires by being chaste and pure, by applying himself to work, by being coherent, by forming an uncompromising spirit against the Revolution that roars around him. He acquires convictions by trampling human respect and living exclusively for the Catholic Cause without concern – except for what is indispensable – about his personal interests. This is the way a man truly forms himself and becomes a hero. This is the difference between the schools of neo-pagan heroism and the school of Catholic heroism of which we seek to be disciples. This is the heroism for which we wish to prepare ourselves. The hour today calls for more heroism than ever. This century will be the century of heroes, because only the heroes will survive. We need to understand that we were born to be heroes, but not heroes of sheer impulse and temperament alone, but heroes of the Faith, heroes who follow the heroism of Our Lord Jesus Christ. Someone might say: "This comparison is pretentious." And I answer: This is not a comparison except in the sense that He is the model of every Catholic and, therefore, every Catholic should imitate Him. Our Lord Jesus Christ himself said: "Be perfect as your heavenly Father is perfect." Therefore, we must say: Be heroic as Our Lord Jesus Christ was heroic. This is the true school of heroism. Was Youth Made for Pleasure or for Heroism?